Value what you write. Permanote is used by writers for the New Yorker, correspondents at the BBC, and CEOs for organizing their thoughts. 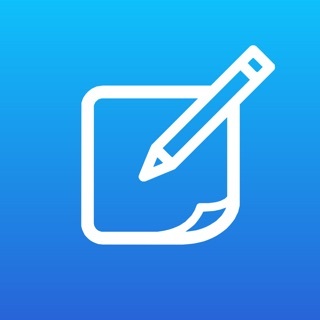 Permanote edits all your text files in Dropbox. 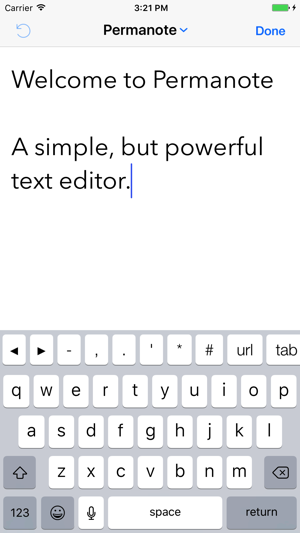 The editor is fully customizable, including a strip of keys above the keyboard. Other editors force you into a particular theme so that you can "get in the mood." 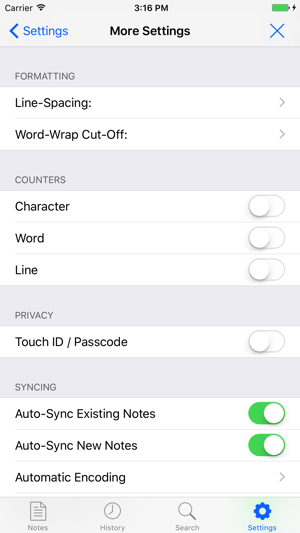 Or they force you to store all your notes in one folder or to sync all your files at once. Not with Permanote. Permanote means freedom. Permanote is free with ads, or you can pay a small fee for a non-renewing subscription that removes ads and includes premium support (expires Jan 1, 2020). This picks up right where the old version left off, but even better. Anyone complaining about a $1.99 subscription fee is nuts. 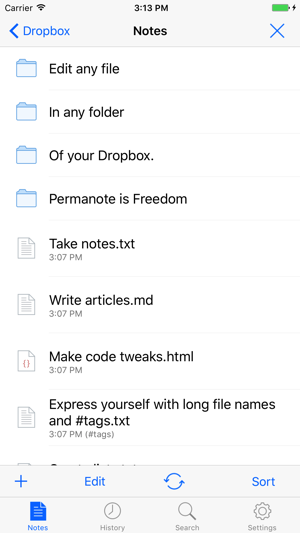 If you want a app you can commit potentially 1,000s of text notes to, and the reassurance of knowing it might not disappear at any moment.. pay the $1.99. I can't even believe I have to write this given the amount of people who complain about abondomware and reliable app development. I used Nocs daily for years and then it disappeared. Permanote is even better! 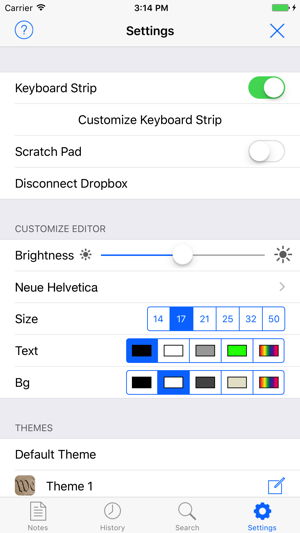 Works perfectly with the Apple Smart Keyboard and good integration with Dropbox. Paid for the other one. Made me download this one. Now it wants more money for a subscription. That's stupid. Wouldn't recommend this jumbled garbage. © 2019 Nuclear Elements, Inc.